A bar chart is the horizontal version of a column chart. 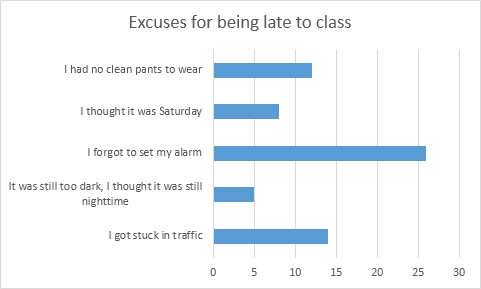 Use a bar chart if you have large text labels. 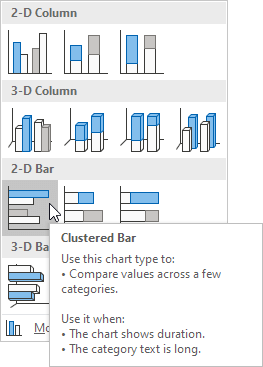 To create a bar chart, execute the following steps. 1. Select the range A1:B6. 2. On the Insert tab, in the Charts group, click the Column symbol.